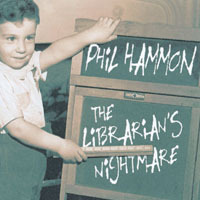 Phil Hammon has created his own inimitable style by blending unique songwriting and an edgy sound that screams progress in a classic voice. This sleeper has all the 80's sound without all the 80's hype. 5. Where Have You Gone?